October is National Cybersecurity Awareness Month, and over the next few weeks Duke’s IT security office will be sharing tips and resources to help students, faculty, and staff protect their digital security. Here in the Libraries, we’re doing our own part to make our web presence more secure. During fall break, the Duke University Libraries web site will begin using the HTTPS protocol by default. HTTPS, which means Hypertext Transfer Protocol Secure, ensures an encrypted connection, providing greater privacy and security than the HTTP protocol many of our sites have previously used. This change will apply to web sites that we maintain directly, such as our homepage and our digitized collections, and to hundreds of the databases and journals that we subscribe to. When you go to our web site using the old adress that begins with “http://” you will automatically be redirected to an address that begins with “https://” — for example, the full address of our homepage will be https://library.duke.edu. Will the entire Library web site use HTTPS? Most of the Library web site will use HTTPS; however, the portion of the Library web site that we refer to as the Classic Catalog will not transition from HTTP to HTTPS. Students, faculty, and staff may continue to use Classic Catalog “as is,” and it will continue to function as it always has without change. When using Classic Catalog, some newer web browsers will display a “Not Secure” warning when you type search terms into the search box. 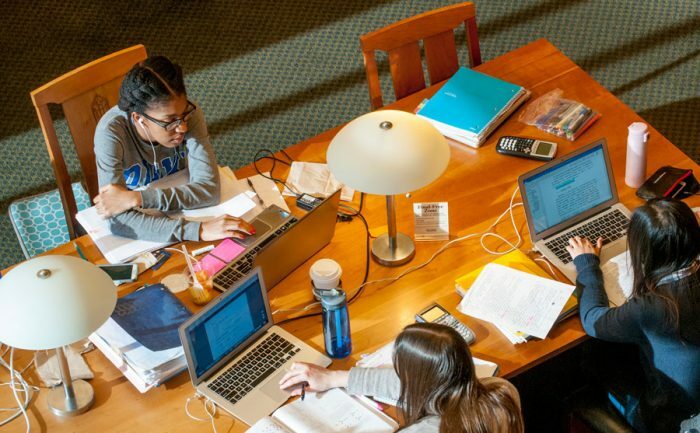 As an alternative, we encourage you to use either the All search or Books & Media search to find resources at Duke University Libraries via the more secure HTTPS protocol. Both of these more secure search options are available within the library’s home page search box. On October 25, 2017, we will remove the link to Classic Catalog from our home page, although this legacy platform will continue to be available “as is” at its current address. Additional information is available for your use in troubleshooting, reporting problems, and asking questions.